As the cold weather becomes an everyday thing, I have to change up my skincare routine. In one of my last posts I spoke about the addition of Hyaluronic Serum to my routine in an attempt to retain moisture, but I also use a heavier facial moisturizer too. My current moisturizer is NaturaliDerm Organic Facial Moisturizer. 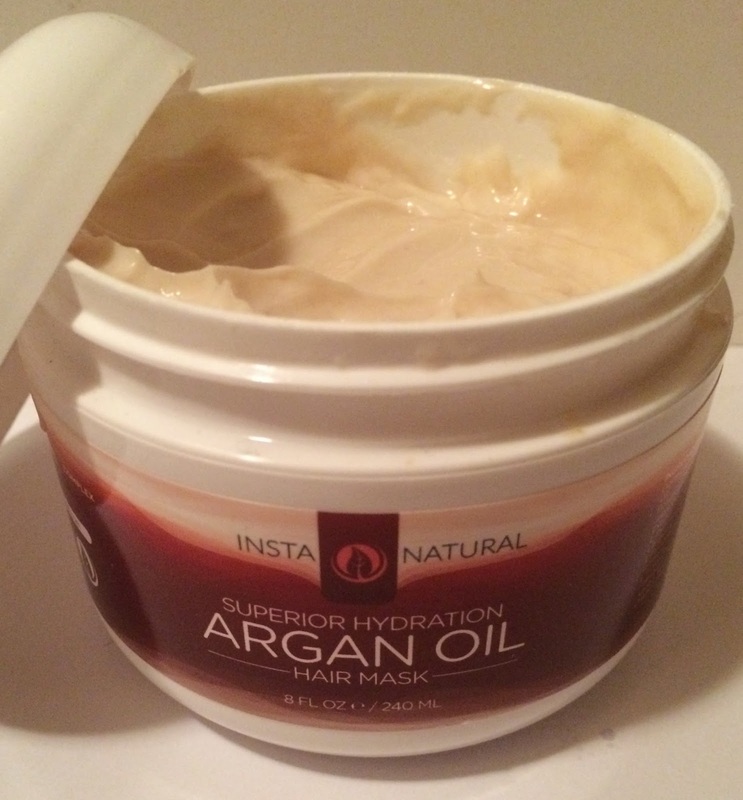 I fell in love with this moisturizer almost immediately because it never broke me out! I normally break out when I change up my products, but I found that this moisturizer actually helped clear up the breakouts I had. I love the pump-top bottle that this moisturizer comes in because it makes dispensing a breeze. Plus, a little goes a long way, so I literally only use one pump! I find that this moisturizer smells a little like cocoa butter and shea butter, so it has a subtle and pleasant scent. Additionally, it is made with organic ingredients that are free of parabens and other harmful chemicals that can be absorbed into your blood stream. Some key ingredients are Aloe Barbadensis which is known to hydrate and restore your skin's moisture, Witch Hazel, which is effective at tightening your pores, Shea and Cocoa Butters which seal moisture in, and D-Panthenol which conditions and moisturizes your skin. In combination, these ingredients tackle dry skin like a pro while also delivering anti-inflammatory, anti-bacterial, antioxidant and astringent-related benefits! The NaturaliDerm Organic Facial Moisturizer is unique in that it provides the heavy duty moisturizing of a heavy cream, yet it's in the form of a light-weight, easy-to-apply, non-greasy lotion. I use this in the morning and in the evening after cleansing, toning and serum-ing my face. Again, as I have mentioned before, I love that this product did not break me out. Plus, I have seen major decreases in the frequency of my breakouts since using this moisturizer. 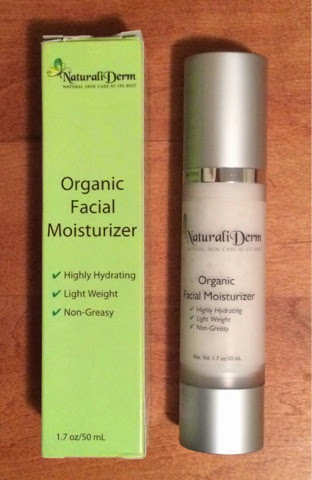 I give the NatraliDerm Organic Facial Moisturizer 10 stars and a very high recommendation! If you are in need of a phenomenal moisturizer to protect and renew your skin this Winter season, I highly recommend that you purchase this one at Amazon, for $27.89 HERE (Please note that this price is subject to change). This also comes with a 60-day money back satisfaction guarantee, so you can feel confident in your purchase! I really enjoy cooking. Or maybe I just enjoy eating, but I associate the act of cooking with the benefit of getting to consume whatever it is that has been cooked. Either way, I am always amused by new kitchen tools and gadgets, or anything that makes cooking quicker, easier and less messy. 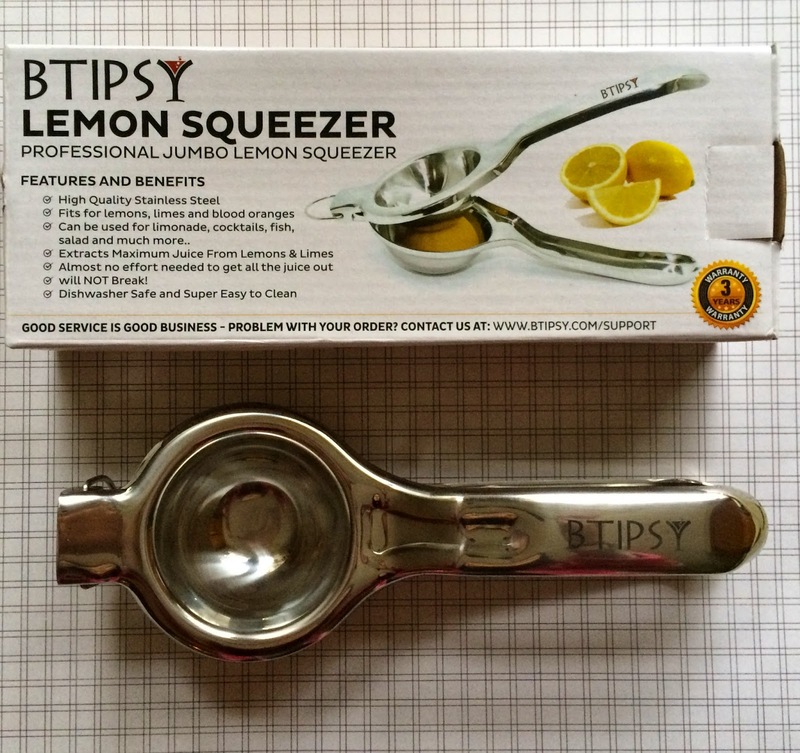 The newest kitchen gadget that I am loving is the Btipsy Professional Jumbo Lemon Squeezer. This Lemon Squeezer is made of high-quality stainless steel, ensuring durability and longevity. While it is simple to clean by hand, it is dishwasher-safe as well. It is a versatile tool because it is large enough to use for most citrus fruits (I don't think a grapefruit would fit in it unless you cut them in quarters versus in half). I love using this to add lemon juice to our meals. Having that zing of citrus can really add flavor to meals and drinks! Adding some fresh squeezed lemon juice to the zucchini "salsa"
The Btipsy Professional Jumbo Lemon Squeezer can be used in 3 simple steps: Cut the fruit you are using in half, place it (cut area) downwards into the Squeezer, and squeeze. Out comes fresh juice! The tool itself is a little heavy due to it's size and material, but it requires no effort to get the liquid of the fruit to come out. I'm pretty sure my two-year old could do it. I like it because it doesn't involve me having to get my hands sticky, or making a mess a mess if the fruit sprays all over. I'm sure my nine year old will be excited to use this to make fresh-squeezed lemonade next Summer for his lemonade stand. This can be used for so many different things including drinks (everything tastes better with a fresh squeeze of lemon or lime, especially cocktails), dinners and to top off salads. If your kitchen is in need of something similar, you can purchase it from Amazon HERE where it is currently $22.99. Amazon prices fluctuate constantly so this price is not guaranteed. The Btipsy Profesional Jumbo Lemon Squeezer, however, does come with a 3 year warranty if it does not meet your standards, so you truly have nothing to lose! Sometimes I feel like a guinea pig with the number of different beauty products that I try out. I attempt to test out a variety of products so that I am able to form an accurate opinion, and also try to avoid too much overlap so that any differences I do see can be attributed to the correct product, or combination of products. So, I may be taking a little break from serums since I have found a handful that I truly enjoy, but it has been awhile since I reviewed an eye cream, so, TA-DA! 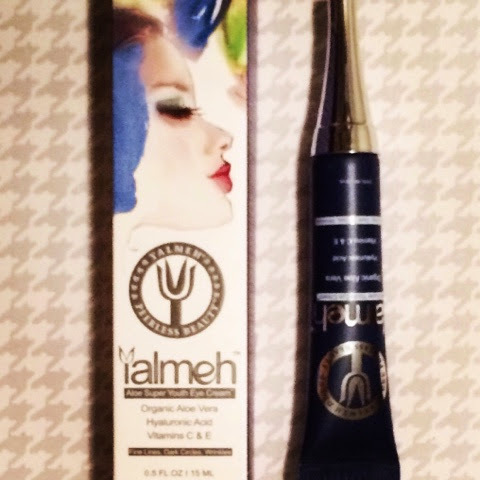 Introducing: Yalmeh Aloe Super Youth Eye Cream. For the most part, I use an eye cream because I have the occasional under eye puffiness and bags. For the most part, I avoid my eye area when I apply products in my skincare routine. I know that the skin under my eyes in thin and fragile. so I like being able to use an eye product that is formulated to treat such a sensitive area. 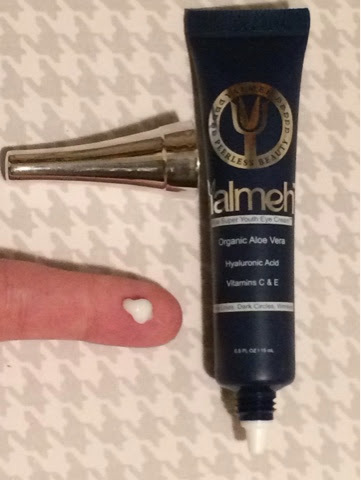 The Yalmeh Aloe Super Youth Eye Cream uses organic ingredients including Aloe Vera, Hyalurnic Acid and Vitamins C and E to fight fine lines and wrinkles, reduce dark circles, and keep that ultra-sensitive skin hydrated. I love the invigorating scent, and feel that it really perks up my under eye area. If not, maybe it just uplifts my mood enough to make me think so? Either way, I am pleased with the product and would definitely recommend it! You can find this eye cream on Amazon HERE, and it is on sale for $17.25 as a Black Friday special. Clearly, this price will not last as it is a whopping 63% discount. Body Merry's Pro-A 2.5% Retinol Serum uses a high concentration of Retinol with other natural ingredients to aid in the fight against wrinkles. I have been using this serum on a few places where those pesky "fine lines" have been showing up with decent results. It takes a little while because this is only used once per day (recommended at night). I would be pretty suspicious of something that zapped wrinkles in a day, there is just something entirely unnatural about that. After doing some research, I have found that Retinol is used to treat a number of things, including: clearing acne, reducing the appearance of wrinkles, lightening discoloration, and shrinking pores. I have only been using this on targeted areas of my face, so now I want to use it all over! I am hoping I will get to experience all of these results! If not, keeping wrinkles at bay is good enough for me. 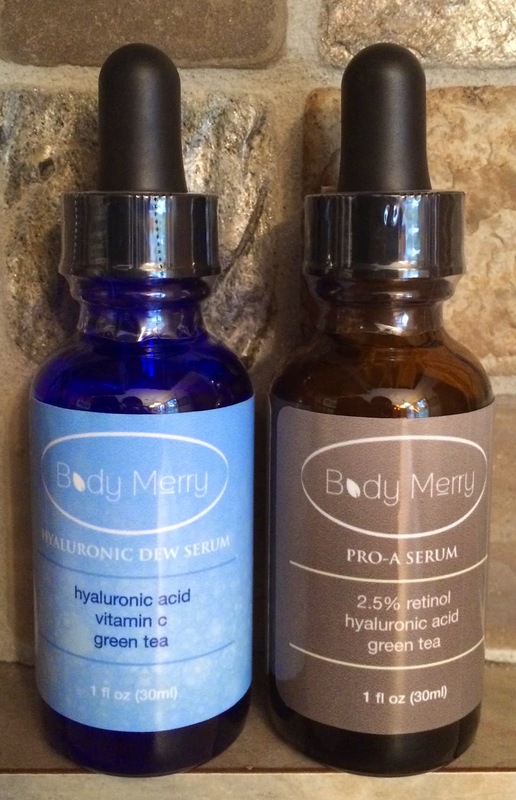 I also got to try Body Merry Hyaluronic Dew Serum. Hyaluronic Acid is used in the fight on aging too, but in the form of moisturization. Just think about the difference between extremely dry skin, and moist skin. Dry skin can be cracked and flaking, whereas moist skin looks plump and healthy. Wrinkles, lines and all of those things you DON'T want on your face are going to be much more accentuated if you skin is dry, versus properly moisturized. During the Fall and Winter, dry skin is my biggest obstacle. 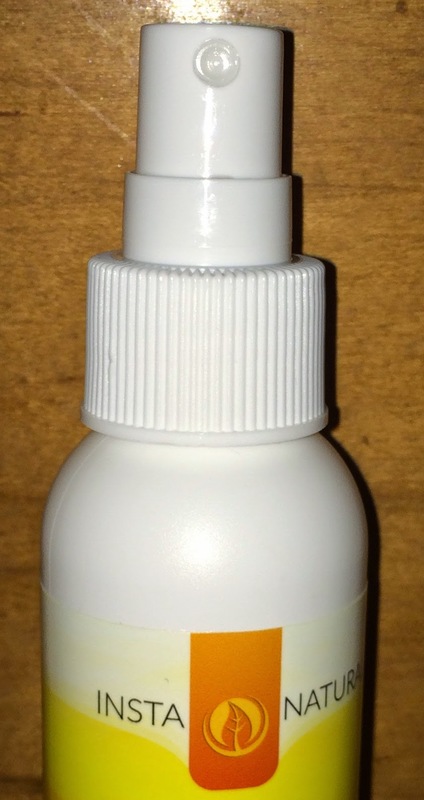 Since I have been using this Hyaluronic Dew Serum, I have not experienced dry skin yet this season. Fingers crossed that this maintains! I recently read a tip in Glamour magazine which suggested applying Hyaluronic Acid to tissues and then applying them to your face (like a paper mask). After allowing it to sit on your face for 10-15 minutes it is said to act like a deep hydrating mask. Since I have both of these items I am eager to give my children a reason to laugh at me, and try this out. This set is meant to be used together where the Hyaluronic Dew Serum is used after washing and toning but before moisturizing in the AM, and the Pro-A Retinol Serum in that same place in the PM. Each of the serums come in sturdy glass jars with droppers to distribute the product. 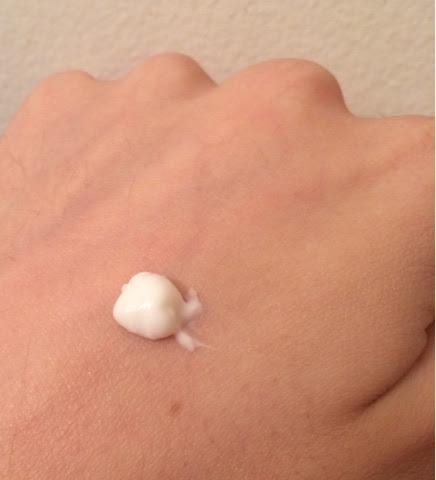 I normally squirt a pea-sized amount into my palm and then gently rub it all over, or in targeted areas. The serums have a gel-like consistency which makes them very easy to apply. You can grab your very own Body Merry Pro-A 2.5% Retinol Serum HERE, and the Body Merry Hyaluronic Dew Serum HERE. Additionally, check out their website HERE to see everything they have to offer. As you know, or as you are about to know, I suffer from and have suffered from acne for YEARS. It has evolved and changed over the years, and in the more recent past it has been the all hormonal, cystic acne that is concentrated on my chin. Acne anywhere and anytime is embarrassing, so I am so thankful for the wonderful creators of full-coverage foundations and powders who have come to my face's rescue. Regardless of how much make-up I use, I am reminded when I take it off of the damage it has done to my face. I have terrible marks and scars that plague my face and squash any dream I have of every going make-up free (in public anyway). I gave my BFF some Vitamn C serum that I had on hand because she was curious about it and had been reading about how well it works at clearing up acne scars. That got me interested, and shortly thereafter, I was given the opportunity to review a Vitamin C Serum by Bonapiel. 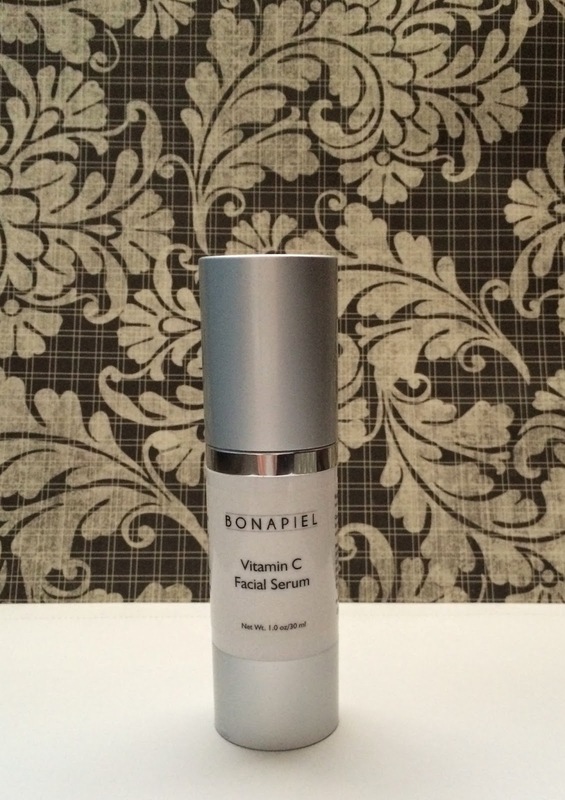 The Bonapiel Vitamin C Facial Serum is formulated to fight the signs of aging, while tightening, brightening and lightening those problematic areas of your skin. The serum uses a whopping 18% Vitamin C and Hyaluronic Acid Serum to do all of that! 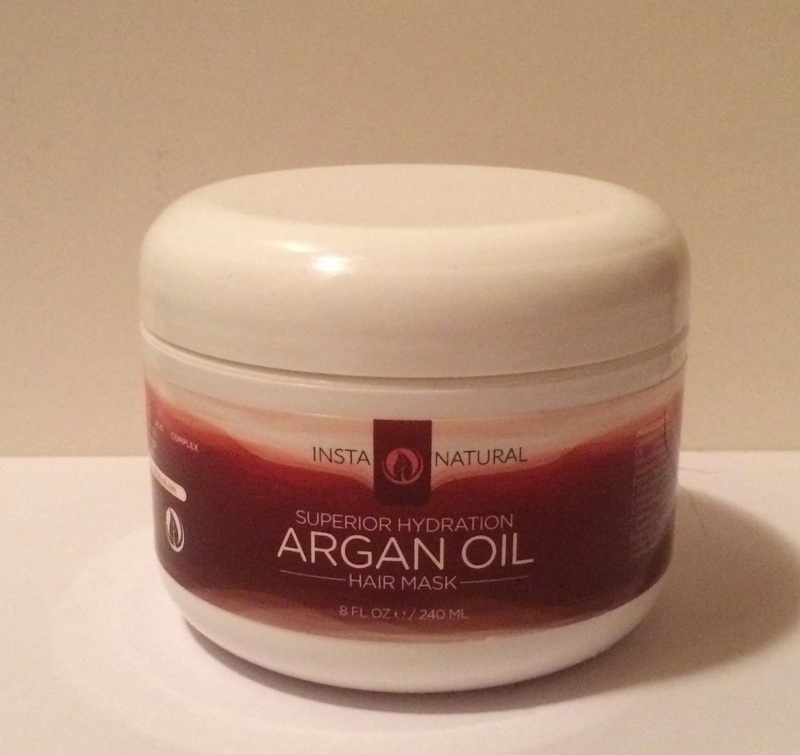 It also has a ton of other great organic and natural ingredients that help to hydrate and protect the skin too, including: aloe vera, jojoba oil, witch hazel and vitamin e. This comes in a 1 ounce sized bottle with a pump top that makes it perfect to distribute just the right amount of product. The serum itself is very watery (as most serums are), but I was definitely expecting something that had more of a gel-like consistency because of the pump top. It naturally unscented, but reminds me of how fresh water smells. I was even shocked when I made this collage and could see the difference this has made on the appearance of my red marks. I knew I had to share these results because for such little effort, and less expensive than any dermatological treatment, this has yielded pretty dramatic results for me personally. If you are seeking any of the aforementioned benefits that this Vitamin C serum has to offer, I highly recommend that you go HERE to purchase your own bottle for $37.95 (this price may change as prices on Amazon fluctuate often). It's Stinky - But Worth It! Have you ever heard the saying: "Pain is beauty"? Well, I think I had a close call with that on my recent review. I love to try out new health and beauty products more than anything else. It has just been a major interest of mine since I was a tween - browsing the skincare and make-up aisles are something I consider to be a good way to spend my free time. I have tried an extremely vast array of products, so I like to think that I have some level of "expertise" in this area. 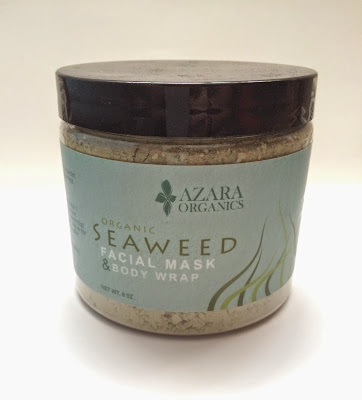 I recently was given the opportunity to try an Organic Seaweed Powder from Azara Organics. Seaweed has been used for centuries to reduce inflammation, soften skin and detoxify the body. Azara Organics recognized these benefits and has used 100% pure USDA certified organic kelp powder harvested from the Atlantic Ocean to create their product. 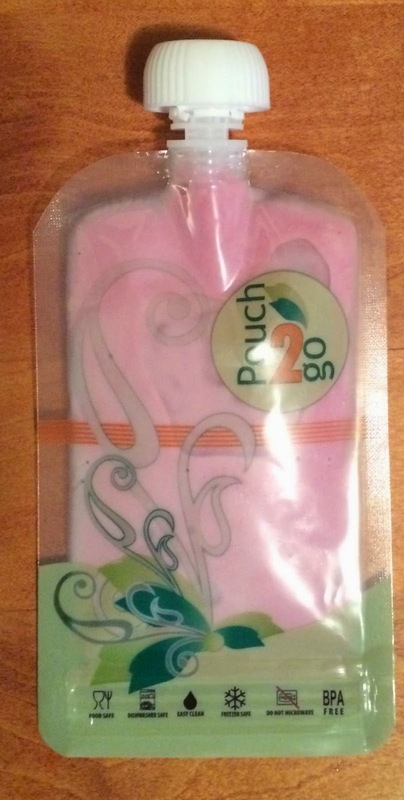 It can be used as a face mask, body wrap or added to body scrubs and bath powders. As a face mask, you mix 1 teaspoon of Organic Seaweed Powder with 2 teaspoons of water, add a couple drops of essential oil (if desired), apply to skin and allow it to set for 10-15 minutes. Rinse off with warm water and voila! It's requires minimal effort to use. Here is where the "Pain is Beauty" comes in... This stuff smells like seaweed. You are probably thinking, well, YEAH, it's seaweed powder, so of course it smells like SEAWEED. Well people, seaweed smells BAD. Even after I mixed in Lavender Essential Oil, it still smelled awful. I need to find a stronger scented oil to mix in with it or something... If you use it as a wrap this will likely not cause an issue because you smooth it on your skin and then wrap yourself (and the scent) up. When it is right there on your face though, you smell it. Some people may not be bothered by the scent, but it was something that really bothered me, so I needed to share. I'm still playing around with it because I feel that the benefits far outweigh the stench. For example, you can feel this tingle as it works on your skin. As an occasional skincare snood, I know that the more expensive stuff is working, because I can see AND feel it. I also found this stuff a tad difficult to mix without being lumpy. I remedied this by placing the powder in a small bowl, adding the water, and then using my make-up brush to mix thoroughly to the desired consistency, adding water/oil as needed to work out the lumps. If you are on the market for such a product you can purchase it from Amazon HERE for $17.95. Please note that this is normally $49.95, and there is no telling when or how the price will fluctuate. To keep up with the Azara Organics and their products, plus get a few more recipes on how you can use the powder, go HERE. I am a lover of all things make-up.... well, most things make-up. I cannot for the life of me figure out the schematics of false lashes. I just avoid them like the plague and hope that my lashes just naturally look full, voluminous and super-noticeable. I have SO MANY mascaras in my makeup collection, but most just sit there, unused, because they do not deliver. Recently, I was introduced to the Moodstruck 3D Fiber Lashes by Younique (thanks to Raquel Dunn), and they are exactly what I was looking for! The Moodstruck 3D Fiber Lashes by Younique contains two products: a Transplanting Gel and Natural Fibers. The process for application is so simple too! You apply your normal mascara as usual. When that dries, you apply a layer of the Transplanting Gel, followed by the Natural Fibers, and then you seal that with another later of the transplanting Gel. Make sure you do one eye at a time to prevent the Transplanting Gel from drying and therefore not allowing the fibers to "take hold". This will give your lashes a noticeable boost in volume - it's incredible. If you wish, you can can apply another round of the fibers and gel too. It's very important to be liberal with the Transplant Gel as it is what bonds the fibers to your lashes, and then what helps to hold them in place. Even if you are new to mascara, this is beyond easy to use, and the pay-off is extensive. Clearly, I get along better with Fiber Lashes than I do false lashes, and it literally takes an extra 30 seconds. The first time I used them my grandmother commented immediately on how long my lashes looked. Beware: You WILL get compliments on how amazing your lashes look - and who doesn't want to feel more beautiful? The Younique line of products are all-natural and mineral based AND cruelty-free for our furry friends. The fibers are made from Green Tea leaves so they are hypoallergenic and safe for contact lens wearers! Plus, this system is water-resistant, yet easily washes off with soap and water at the end of the day. This is what the fibers look like up-close. I have found that I get the best results if I apply the fibers IMMEDIATELY after the Transplant Gel, and focus on the ends of my lashes by gently sweeping the "fiber wand" across the tips. You can see them adhering to the gel right before your eyes. I was so surprised by the length that the Moonstruck 3D Fiber Lashes by Younique gave my lashes. While it is suggested that this duo will last around 3 months, I foresee it lasting a while longer. I don't use this every single day, but when I need a pick-me-up or have plans outside of the home I most certainly do! If you are hoping to spruce up those lashes, especially for the upcoming Holidays, you can go HERE to purchase the set for $29! Your lashes will love you for it! You can read what other Home & School Mosaic reviewers had to say HERE. Disclosure: As a member of Home & School Mosaics I was given the opportunity to review this item complimentary in exchange for an honest review. I was not monetarily compensated. It's Back! And It's Smaller Than Before! 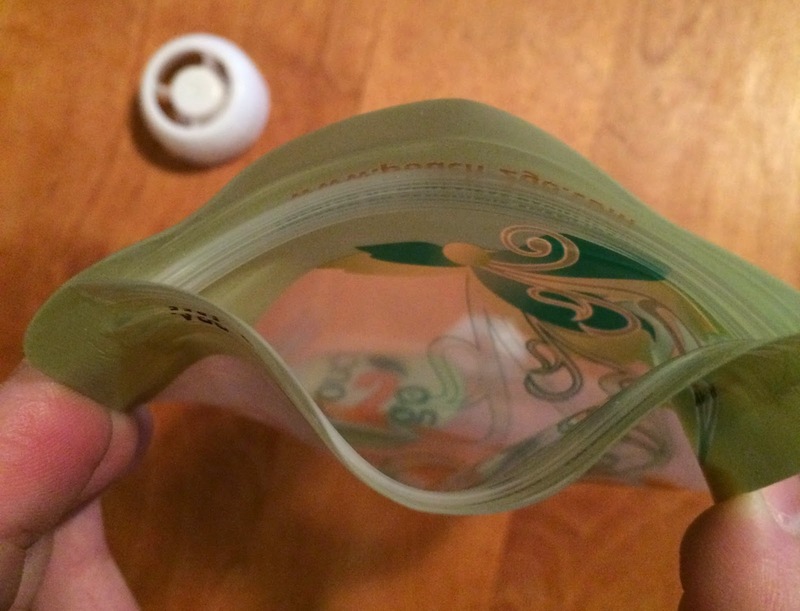 I posted a few weeks back on the Hydracentials 25 oz Water Bottle that I had received. If you remember, this was one of those things that both of my kids kept stealing from me. I'm not sure if it is just because they prefer things that belong to other people, or if they just loved the water bottle as much as I did.... either way, my water bottle, even to this day continues to get snatched by the littler hands in this house. I never complain because I only use it for water, and if that is what it takes to get them to consume their daily water intake, so be it! Luckily, I was more recently given the opportunity to try the smaller version of that water bottle, which I think is much better for them - the Hydracentials Slim and Sporty 16 oz Vacuum Insulated Water Bottle. This one has all of the same benefits as the larger version, but is slimmer and shorter. I think it's slim design makes it easier for the kids to grab onto. Not that they were dropping the big one all over the place, this one is just skinnier, so I think they can get a more secure grip. Because the bottles are white, I am always scared that if they drop them they will scratch. Surprisingly, that hasn't happened yet which is nothing short of a miracle with my kids. This one also comes with a nice gray Koozie too! We love the Hydracentials Slim and Sporty Vacuum Insulated Water Bottle for many reasons, especially because it is stainless steel - which mean no leaching! Traditional plastic water bottles cannot compare. Plus, this is reusable which reduces our carbon footprint, making our Earth happy. The water bottle is insulated as well, keeping drinks cold for hours at a time. As we approach Fall and Winter this will likely not be a problem, however, during those Summer months we are grateful for that! 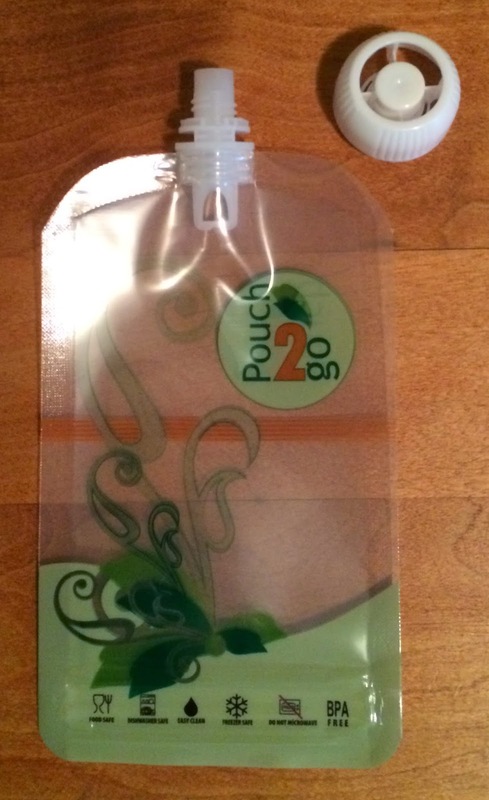 In need of a smaller water bottle for yourself or the kids? You can grab your very own Hydracentials Slim and Sporty 16 oz Vacuum Insulated Water Bottle from Amazon HERE. Currently it is $21.97, however it traditionally runs for $29.99 - Amazon prices fluctuate so there is no guarantee that this price will last.